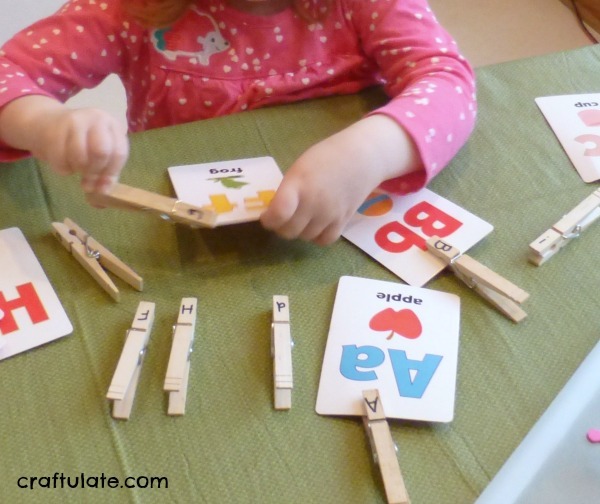 This simple clothespin letter match activity for Fine Motor Fridays this week combines two learning activities – alphabet and fine motor skills! 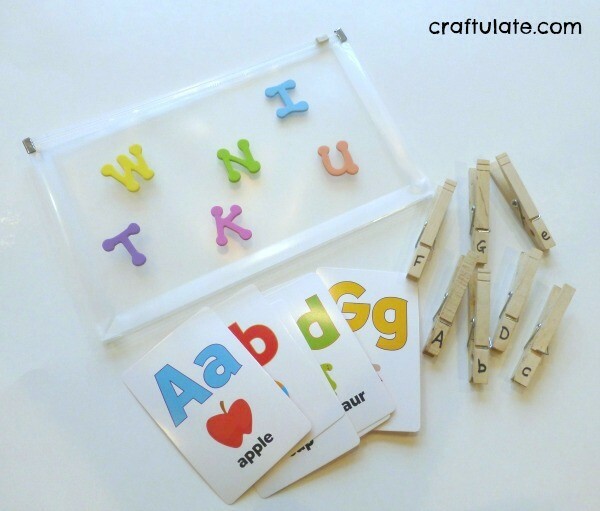 To set up this activity I wrote the letters of the alphabet onto wooden clothespins (clothes pegs), lower case on one side and upper case on the other. I put these in a clear plastic bag with some ABC flash cards I bought from the dollar store. Matching the pins to the cards wasn’t too tricky for F – but getting the right end of the pin to squeeze and then getting that on to the card caused him many problems! Clothespins can be very hard to manipulate for little hands. We took a break when he got too frustrated and came back to it the next day. To be honest I think having all 26 clothespins was just too much to start with, so I only gave him A-H. The guys from LalyMom were over for a playdate and Ladybug (3yrs) was also interested in it! Finally on the third day he was starting to get the idea. He also got some good fine motor practice opening the zip on the bag! This is definitely an activity we’re going to keep trying. He’s so close to mastering how to operate those pesky clothespins! 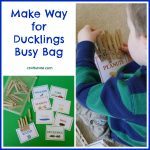 Having everything in one handy bag means I can just grab it and take it with us any time I think we’re going to need a time-filling activity. 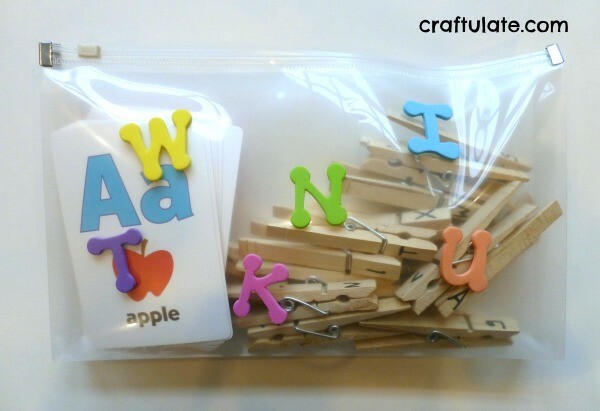 Once he starts learning some sight words we can still use these clothespins and take it to the next level! Find out what everyone else has been up to this week! 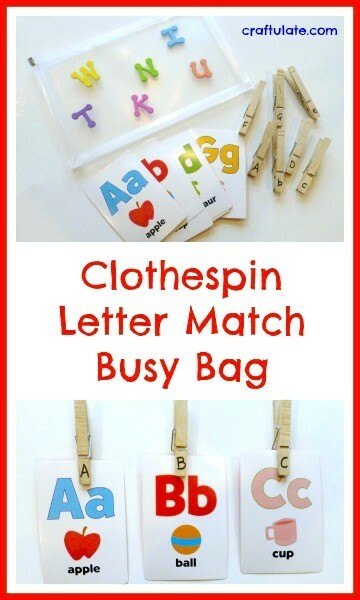 clothespins are tricky! Caden is just now getting the hang of them. Clothespins are very tricky for little hands! I think J was over 3 before he mastered clipping them onto other objects. Yes, we came home and got out our alphabet flash cards right after that! Ladybug really liked that activity! I like the bag idea too, keeps it from getting scattered. 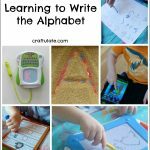 Really good thinking to start with a handful of letters, I will have to remember that! Oh the little concentrating faces are the best! We love clothespin activities! I know – I just have to include those expressions! We love clothespin activities, too! 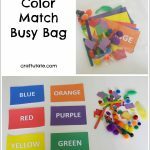 Love this busy bag idea! So simple and easy peasy to put together! 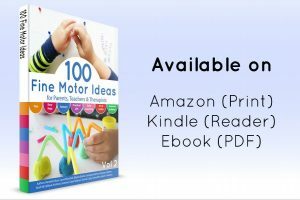 Pingback: 10+ Creative Fine Motor Activities for the Kiddos - Fun-A-Day! I love this idea! Where did you get the plastic bags? Thanks! I think they were just from an office supply store. Hi, I may have missed the info, but I was wondering about the letter cards – brand name, where to buy, etc. 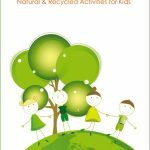 I love your blog and the activities you’ve created. 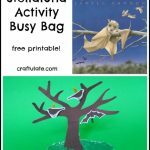 I am starting to cross of some of the busy bags from my list! Although I am replacing them quickly with your new content!